The pH miracle diet is so appealing to people because it is a complete 180-degree turn from the high-protein, low carbohydrate diets of the past few years. The pH Miracle diet, also called the alkaline diet or the Young Diet, after its creator Robert Young, has a totally different approach to nutrition. Many holistic doctors and nutritionists see it as a more balanced approach to nutrition that takes the bodys true needs into account. Basically, the human body has a pH that is slightly alkaline. The theory is that since the human body runs at this pH, our diet should be comprised of mostly alkaline foods. The standard American diet has many foods that are considered acidic, such as animal protein, sugar, caffeine and packaged foods. All of these foods disrupt the pH balance of the body and cause a whole host of problems. 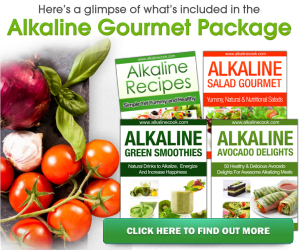 The proponents of the pH Miracle diet say that all of these acidic foods actually disrupt the bodys use of alkaline minerals. These minerals include sodium, potassium, magnesium and calcium, which make people prone to chronic diseases. Generally, all meats and dairy are omitted on the pH Miracle diet. If youre worried about protein, goat milk is slightly alkaline. There is also protein provided from vegetarian options like beans, tofu and certain nuts and seeds. Most vegetables have alkalizing effects, except for mushrooms. Fruits are limited to coconut, grapefruit, lemon and lime. Another important thing to consider is that there has been no scientific testing of the theories behind the pH miracle diet. Also, many conventional medical doctors see no benefit to the program. However, the principles behind the diet are based on holistic medicine and Chinese medicine, which have been around for centuries. The ph Miracle diet principles are currently being studies at John Hopkinss university and by Dr. Neil Solomon of the United Nations. Soon the critics may have to re-evaluate their stance on the diets scientific basis.